Hello lovelies and Happy Friday! You have no idea how relieved I am that the weekend is right around the corner; I definitely need to take some rest. I’ve been feeling so drained and exhausted recently and it might be because of the weather changing but now all I want is two quiet days spent with my loved ones! 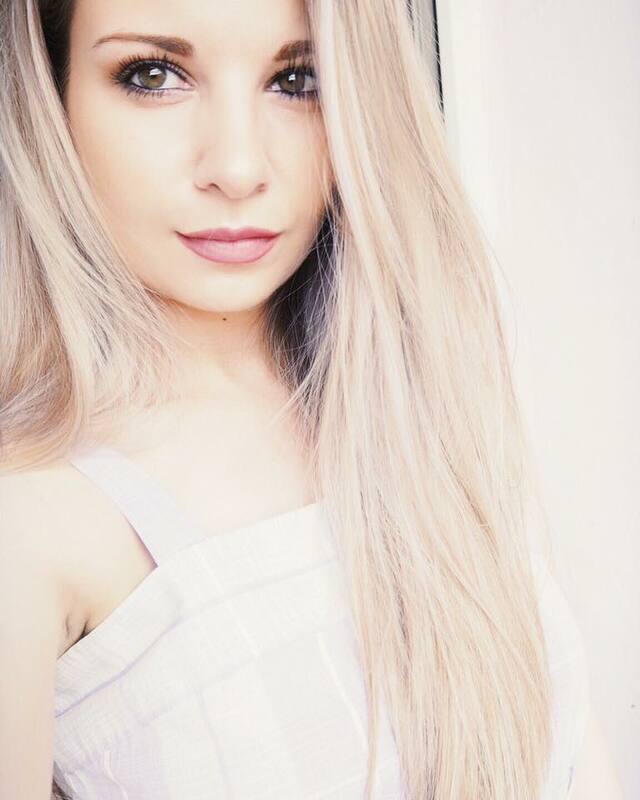 :) On days like that I don’t tend to wear much (if any) makeup but I like to treat myself to a nice skincare pamper. For me, the most essential step of these little sessions is providing my skin with enough moisture. Be it intense hydrating masks or very rich facial creams – I adore them all and I love the feeling of well-hydrated, firm skin. One of the products I always reach for when I want to ‘inject’ some moisture into my skin is this Benefit Total Moisture Facial Cream ($40 / £27,50). 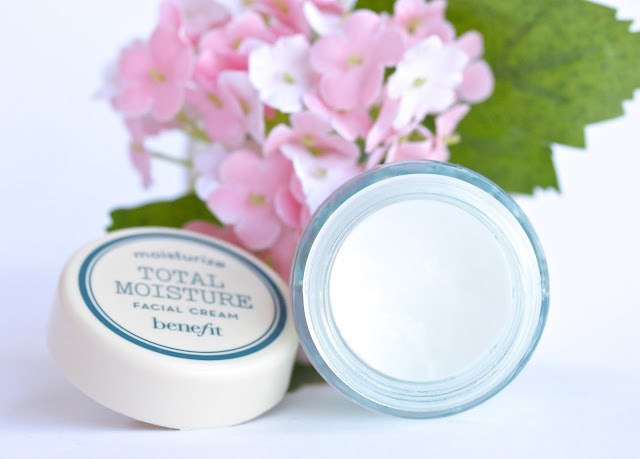 When I posted my review of the Benefit It’s Potent Eye Cream (here) I noticed that not a lot of people are familiar with Benefit’s skincare range, which surprised me because I’ve always thought that their products are rather well known and a lot of you use them? Anyway, my point being is that Benefit not only have outstanding makeup line but they know what they are doing on the skincare field as well. 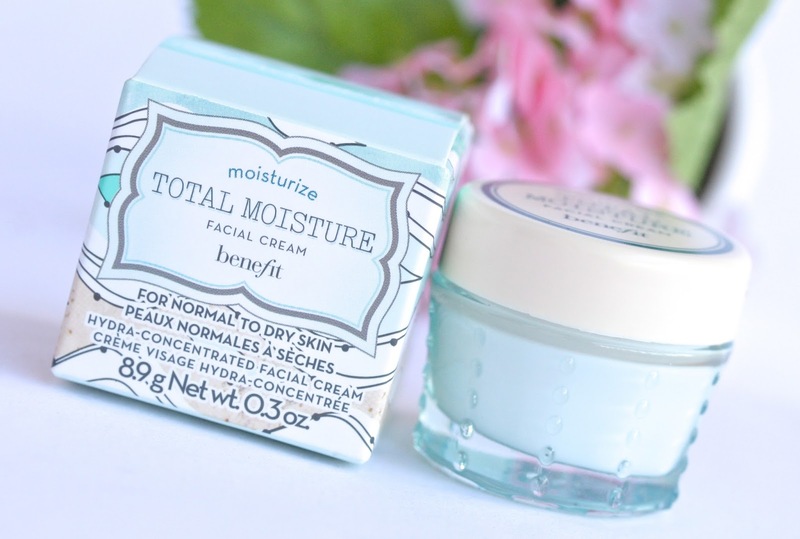 The very first product I tried from them was actually their Total Moisture cream, which I still adore to this day. I’ve gone through four or five mini jars and as soon as I run out I will head out the door and finally purchase the full size one. It’s love! Have you tried Total Moisture before? Which is your favorite Benefit skincare product? How do you keep your skin well hydrated during the colder months? Have a great weekend sweets! 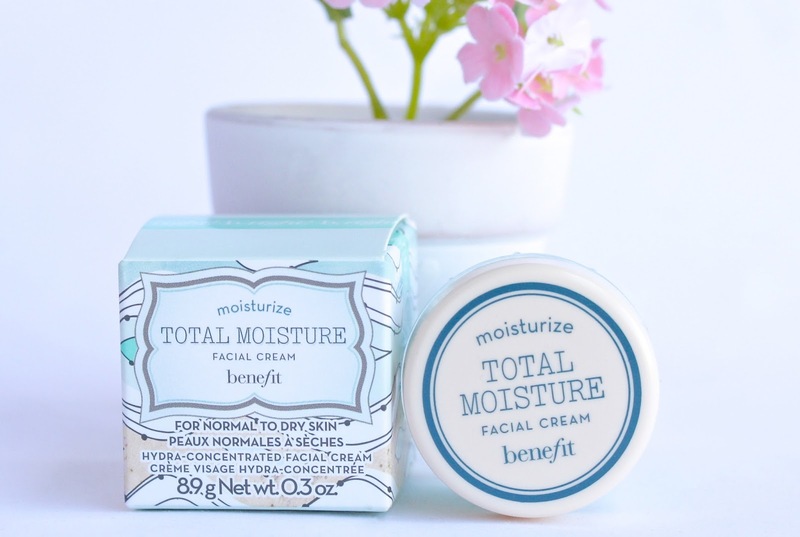 I've never really given benefit skincare much thought, but it sounds like I should :) I'm trying to banish some odd dry patches at the moment so this one really interests me. Even some of the really rich kiehls moisturisers haven't been doing the trick! I have combination skin, and since my cheeks can get really dry sometimes I use this every night before bed. It's definitely too heavy for day use, but I like how it doesn't make my face feel oily or greasy when I put it on. It hasn't broken me out either, and I have acne prone skin, so this is my favorite night moisturizer so far! Might have to give this a try now! I've always over looked benefits skin care although i'm really disappointed that i did! I've got some pesky dry patches on my cheeks now its getting colder so i need a more hydrating moisturizer. I'll be sure to check out benefits skin care when i'm next in store! i love the design of the packaging! so pretty! I've always bypassed Benefit skincare, normally too engrossed in the makeup! This sounds perfect for my skin type though so I'll be trying this out for sure! I've always wondered about this product! I might check it out for this winter because my normally oily skin is already becoming dry! Wish you a good relaxing weekend! I only had a sample of this but totally fell in love with the way my dry skin felt afterwards which was totally hydrated. I think as a treat I will pick this up and the Potent Eye Cream since I've heard so much good things about it and can use all the moisture I can get with the weather change! But until then, I'll keep using my Japanese Kracie Moistage to keep it hydrated and my Korean facial sheet masks (they work wonders =P). I've never actually tried any benefit skincare but I really want to get some so this one will definitely be on the list! Do you reckon it is thick enough for the winter months?? Can you read my mind? Just yesterday I was thinking about buying this and now this mega review. Well, that must be destiny, haha. Perhaps this is really a good idea because I love my winter moisturiser but on some days, especially when I'm at home with no make up and I want to give my skin a little treat, I'm not sure it is moisturising enough. Curious about this baby now! This sounds amazing but it's so pricey! I might see if I can test this out at a Benefit counter. I own this and it's wonderful for a night cream! It feels so luxurious putting it on! I told you it was fabulous! Remember you commenting on my blog about it! Rooting is an extremely delicate procedure. Though it doesn't often occur Download Now Android mobile phone, as well as currently they are gladly enjoyed.